We are a mechanical services company doing domestic and commercial gas, plumbing and central heating works. Do you have any mechanical services project we can help with? Specialist in Smart Home Heating Controls. We carry out domestic, commercial and catering gas installations and Gas safety checks. Repairs to boiler, controls, central heating, radiators, pipework and hot water system..Plumbing repairs (hot and cold water pipes, toilet cisterns, repairs to taps, leaking or seized stopcocks). General plumbing leaks and bursts. We are an approved installer of Warmup Electric and Wet Underfloor heating products. We have the support of Warmup Plc who design your project and identify right products. We have years of experience on installations of Electric and Wet Under Floor Heating products. Gas appliances are on the right setting and burning correctly with the correct operating pressure. Harmful gases are being removed from the appliance safely to the air outside. That any ventilation routes are clear and working properly. All the safety devices are working. The check will identify any defects which require remedial work. You should have a gas safety check every year. If you are a landlord this is a law. We do system power flushing and cleaning, central heating repairs and emergency repairs. We can install additional radiators to new extensions or loft conversions, boiler repairs, noisy system repairs. General plumbing leaks and bursts. Cylinders and hot water. Radiators and pipes. Overflows, leaks and water tanks. Bathrooms, showers, toilets, sinks, taps and basins. 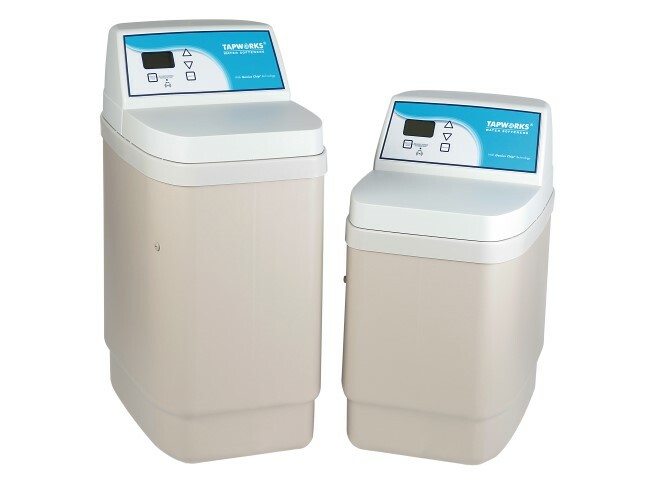 Installation of washing machines, dishwashers & water softeners. We can upgrade or install heating controls without replacing your boilers, and it is a particularly good idea to think about this if your controls are over 12 years old. Modern central heating controls enable you to maintain comfortable temperatures whilst reducing your heating costs by up to 15%. 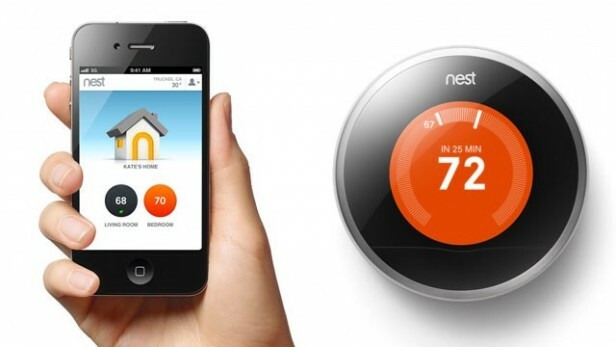 Take control of your central heating costs with a wireless, programmable, room thermostat. Understanding your controls is essential to making best use of them, ensuring that your boiler operates to its optimum efficiency, and saving you money. We install domestic and commercial gas pipes. We have expertise in restaurant and take-away gas installations. We attend emergency gas repairs, installation of gas appliances and new boiler installations. We have commercial gas engineers who can commission commercial gas pipe installations. We can do annual commercial gas safety inspections and installations of new catering appliances and commercial boilers. 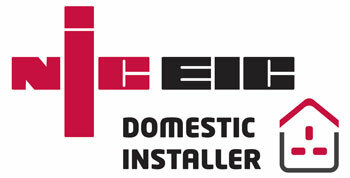 We are approved installer of evohome products. 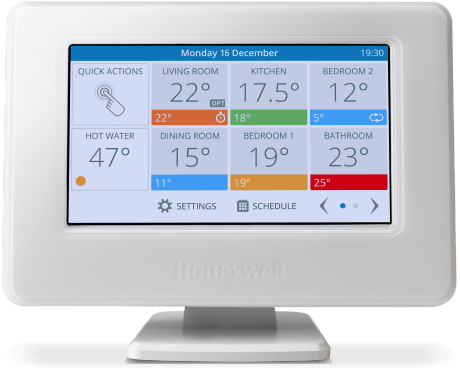 evohome is a sophisticated heating system that ensures you can create and individually control up to 12 heating zones in domestic properties. We are approved installer of SnS Northern gas interlock systems. 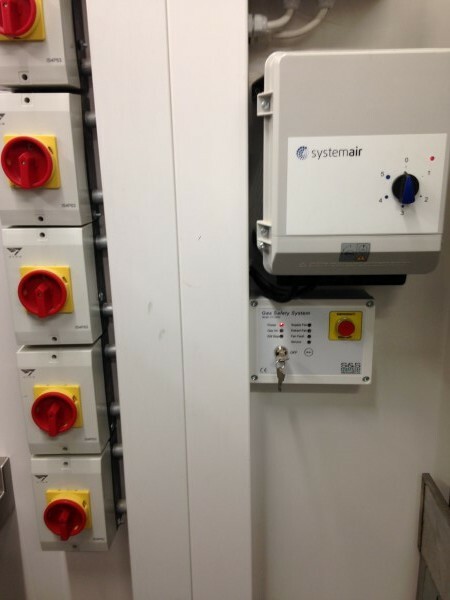 Gas safety interlock systems are required in all commercial kitchens. Gas Safe regulations and BS6173 both require a gas interlock system to be fitted. This ensures that the commercial kitchen ventilation system is working before the gas is turned on. This prevents a build up of potentially poisonous gas combustion fumes in the kitchen which would be harmful to the health of kitchen staff and others within the premises. If any gas appliances do not have Flame Failure Devices (FFD’s) fitted, then a gas proving system MUST also be fitted to comply with regulations. We can design and install S&S Northern gas interlock systems. 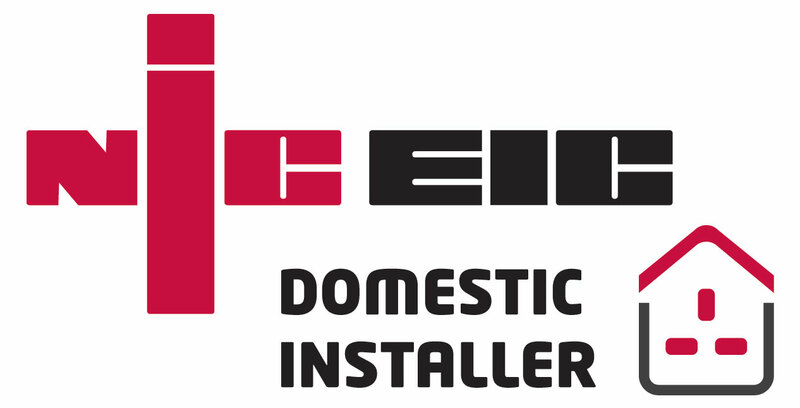 We are NICEIC registered electrical installers. We carry out full domestic re-wiring, light fittings, fault finding, electrical underfloor installations, smart thermostat installations, garden light installations, new fuse boards, extra sockets and minor electrical works. we can design your central heating systems, bathrooms, kitchens, restaurant and take-away kitchens and execute the project to highest standards. We are specialised in design and build turn-key projects. We are working with industry leading companies and only using reliable products from leading companies. 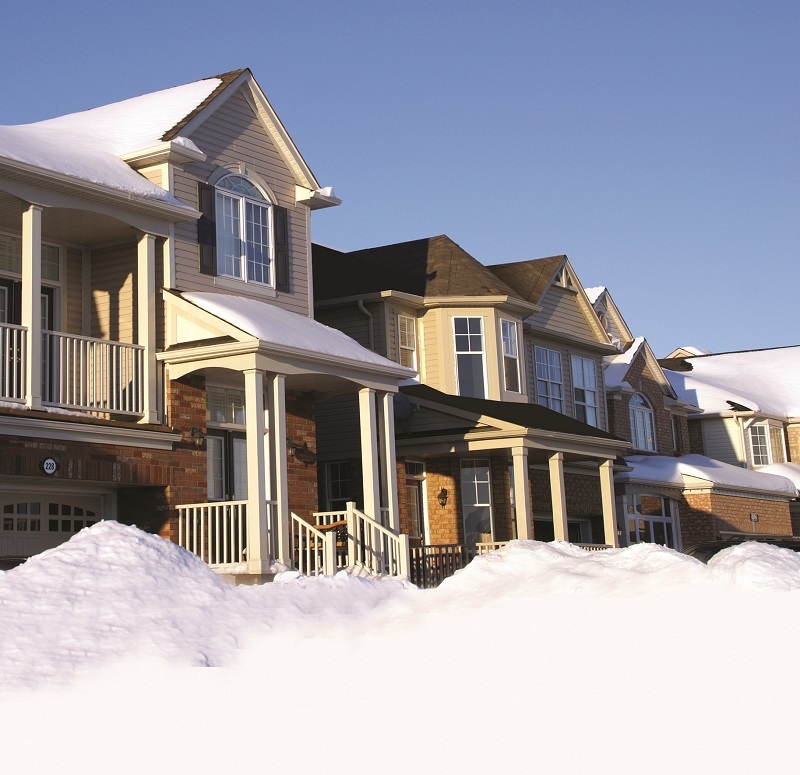 Your home may show signs of carbon monoxide. Any one of the following could be a sign that there is carbon monoxide in your home. The flame on your cooker should be crisp and blue. 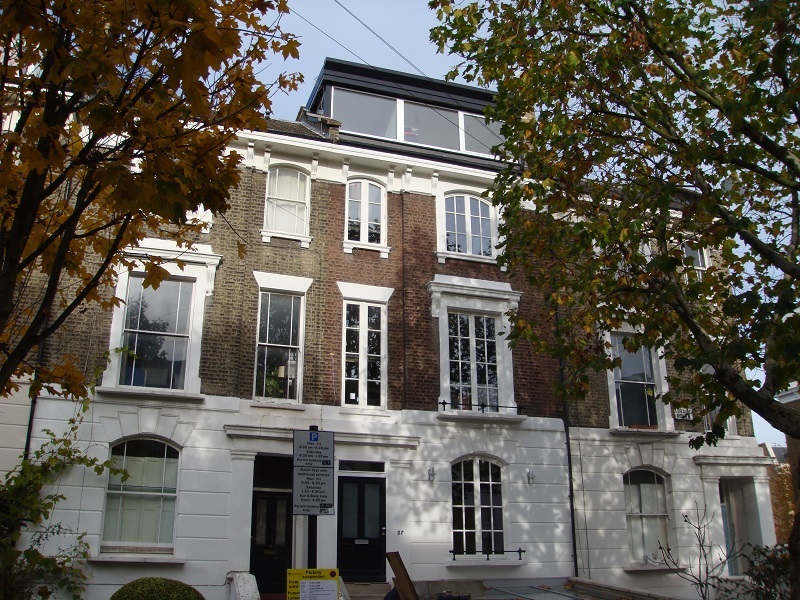 Cem UK Ltd is an independent building services and mechanical services company established in 2003 by Cem Duzgunoglu the director of the company. Cem Duzgunoglu is a Mechanical Engineer and Gas Safe registered Gas Engineer with years of experience in the field.